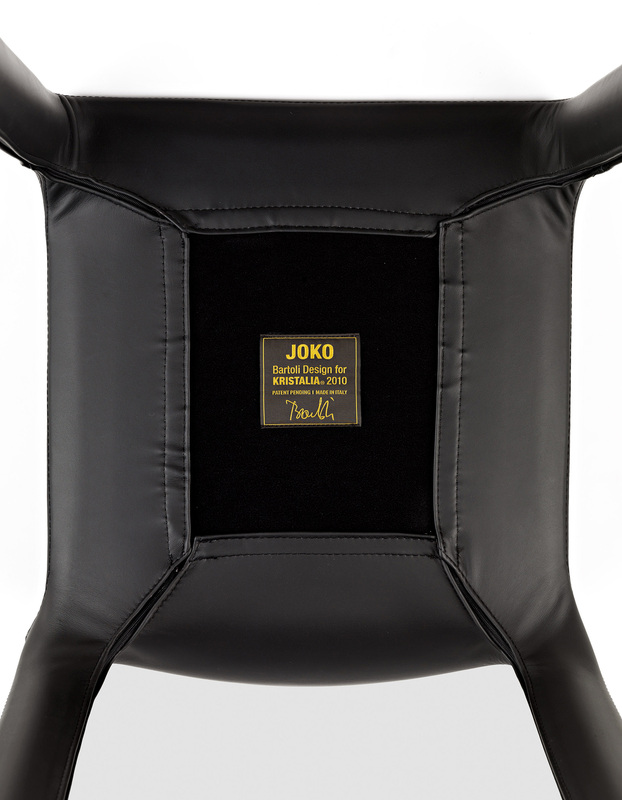 The result of Bartoli Design’s years-long research on the project for a poetically minimalist chair is Joko, an absolute product. The difficulties were in simplifying it as far as possible, yet making it expressive avoiding banality. 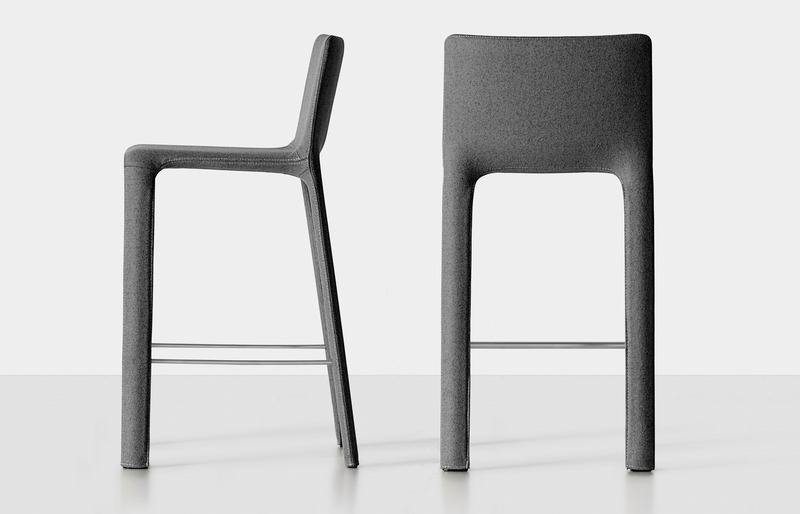 The distinguishing feature is the single, soft and organic shape of its surface from the front legs, to the seat, the backrest and the rear legs. 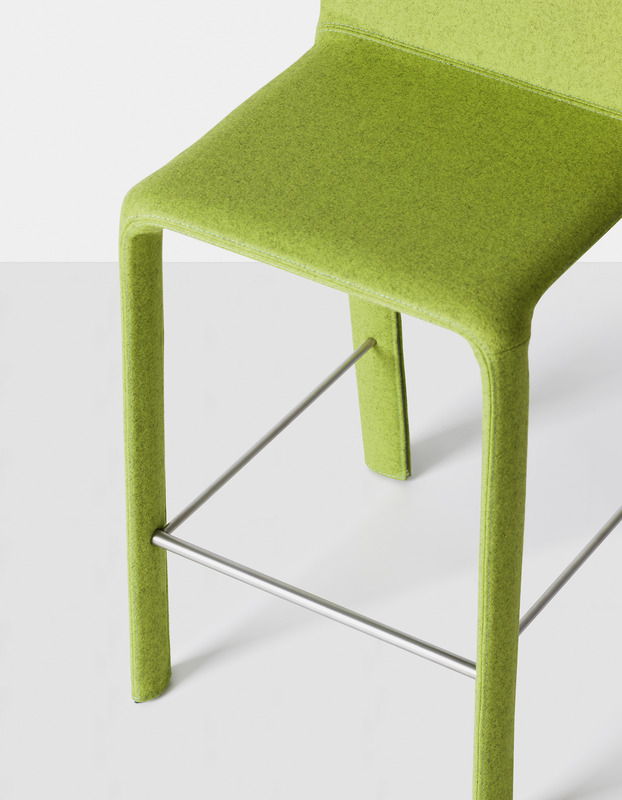 Rear legs are tilted 90° in relation to the front legs. 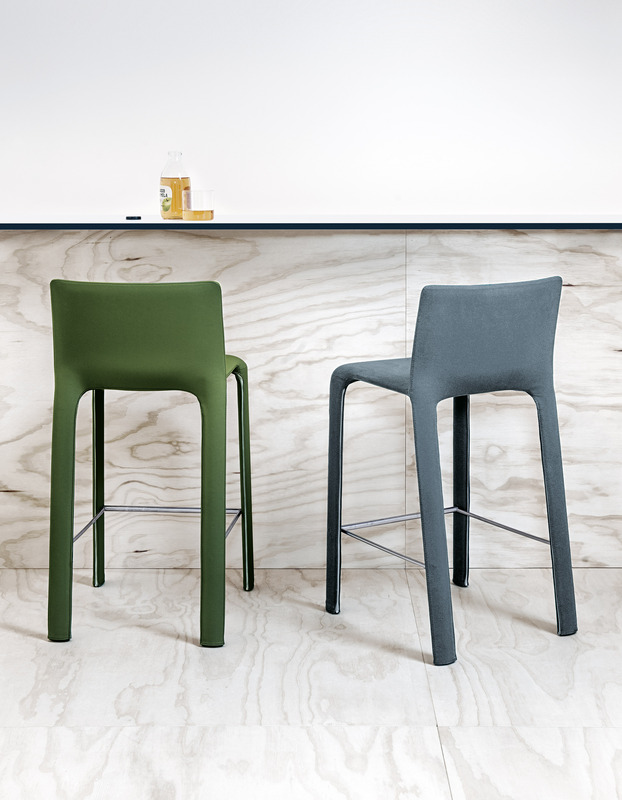 Joko’s continuous surface can be upholstered in a variety of materials: plain leather or fabrics but also printed textiles, which give the chair a different meaning.